Our smallest branch is located in the Trenton Civic Building (next to the Town Hall Office) on Main Street. We offer a full range of free services and access to the resources of all Nova Scotia public libraries. 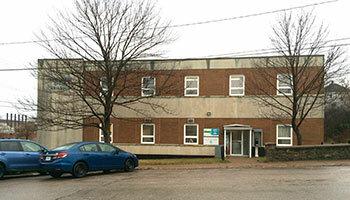 Trenton Library is a Community Access Program (CAP) site, sponsored by Nova Scotia Economic and Rural Development and Tourism. At the Trenton Library you can access a wireless hotspot to high speed Internet. All library programs are offered free of charge. Library programs are offered throughout the year on special occasions, while over the summer months, special programming (such as the Summer Reading Clubs for children) is offered. Please call the Library for more information, (902) 752-5181. A 24 hour bookdrop is located next to the front door of the Library. Find out what's happening at the Trenton Library this month.